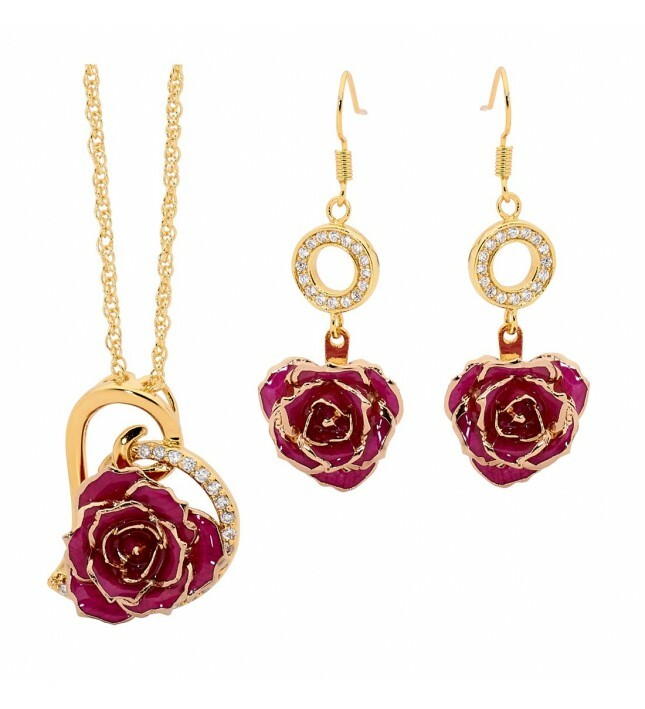 • A gorgeous matching set comprising a pendant and earrings made from real mini purple rose petals, trimmed with 24 karat gold. 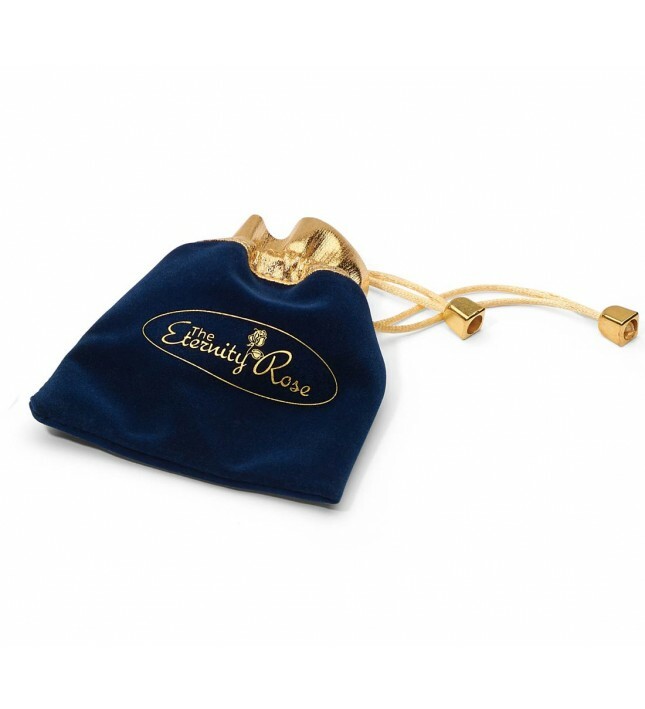 An elegant pendant in the shape of a heart, formed from true mini purple rose petals that have been intricately glazed and decorated with a 24 karat gold trim. Each pendant is decorated with 21 brilliant synthetic diamonds and comes complete with a matching gold-dipped multi-link chain. The diameter of the mini rose head is 3/4" while the pendant itself measures 1.18" by 0.91". 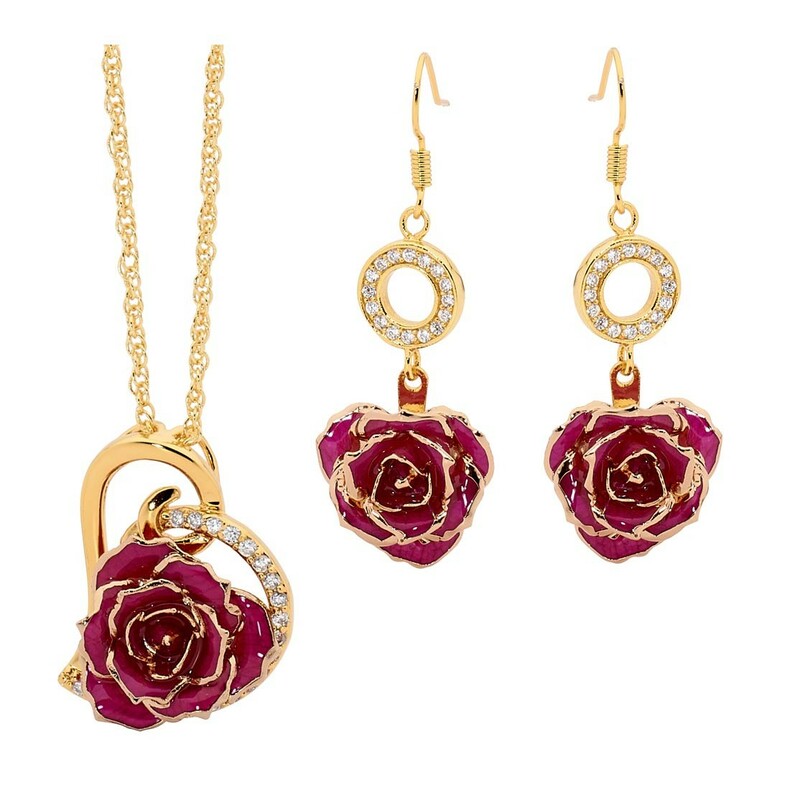 A set of magnificent drop earrings also made from genuine purple rose petals, glazed and trimmed with 24 karat gold. The earring drop measures 1 5/8 inches and features a synthetic diamond-studded ringlet.